Metrolink has a stop at the stadium so it is the easiest way to reach the ground from the city centre. Etihad Stadium is also accessible on foot from the city centre. There is a well-lit, sign-posted walking route available from Manchester Piccadilly station that takes roughly 30 minutes. Please see the public transport section for more information. The station is located at Pottery Lane, Manchester M12 5BY; 15 mins’ walk from the ground. Directions to ground: turn left out of the station; walk along the road and the stadium will be on your left. The station is located at London Road, Manchester M60 7RA; 35 mins’ walk from the ground. Directions to ground: take a Northern Rail train 5 minutes to Ashburys, and follow the directions above. Alternatively, there is a well-lit and signposted route available to walk, that takes roughly 30 minutes. There is signage to direct fans along the route; just follow the ‘City Link’ signs. Etihad Campus (East Manchester line, 2 mins’ walk away). Trains run from Manchester Piccadilly and Ashton-under-Lyne, with journey time from the former roughly 10 minutes. Note that both Holt Town and Velopark, stops either side of Etihad Campus, are not operational for at least one hour after events. Tickets must be purchased prior to travel and machines are located on every platform. The consumption of alcohol is strictly forbidden on Metrolink. Routes 53, 188, 216, 217, 231 all serve Etihad Stadium, some from the city centre and others from surrounding areas. Additionally, Stagecoach Manchester operates a match special between Piccadilly and the stadium; the frequent buses are £1.80 for adults and £0.90 for children, each way. 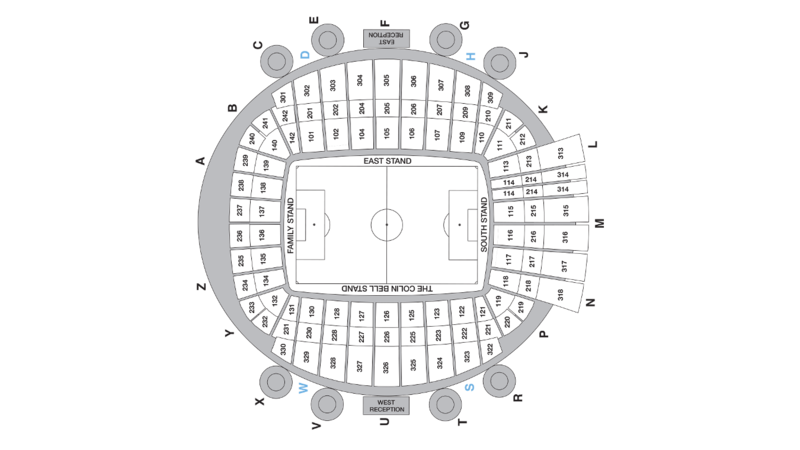 Etihad Stadium lies east of Manchester City Centre, accessible using either the A635 or A62. The A665 runs north-to-south and connects these roads, and the stadium can also be reached using Pollard Street and Merrill Street, which merges into Ashton New Road. The stadium forms part of the SportCity complex on Manchester’s east side, which also houses the Manchester Velodrome and Regional Tennis Centre. The A6010 (Alan Turing Way) runs north-to-south through the middle of the complex, providing connections to the M60 (which surrounds Manchester). A34 Greater Manchester - A34 Princess Street in Manchester closed southbound between the Clarence Street junction and the Cooper Street junction, because of major roadworks. Greater Manchester - Shudehill in Manchester closed eastbound between the Nicholas Croft junction and the Hanover Street junction, because of roadworks. A635 Greater Manchester - Speed restriction of 20 mph on A635 Mancunian Way in Manchester between the A6 London Road junction and the B6469 Fairfield Street junction, because of a contraflow and sewer works. A6042 Greater Manchester - Speed restriction of 20 mph and expected delays on A6042 Trinity Way in both directions in Salford between the B5225 Prince's Bridge junction and the A34 Irwell Street junction, because of major roadworks. Pay-on-the-day parking is available on site in Blue Car Park H, accessed from Alan Turing Way (Gate 2). Postcode for the Blue car park is M11 4DW. Accessible car parking and coach park are available at the Grey car park on Ashton New Road. Postcode for the Grey car park is M11 3FF. For those travelling from the east or north, there are two large park & ride car parks located at Ashton West and Ashton Moss. They are free to use for metrolink customers and the off-peak return fare to Etihad Stadium is £2.60 for adults, £1.20 for children. For further information on park and ride click here. The consumption of alcohol is strictly forbidden on metrolink. Accessible car-parking spaces are made available to visiting supporters. The club will advise the visiting clubs’ Disability Liaison Officer and/or a member of their Ticketing Team with regards to the number of bays available and any qualifying sales criteria. 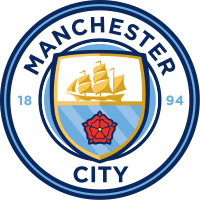 Manchester City moved in to the Etihad Stadium, formely known as the City of Manchester Stadium, in 2003 after 80 years at their previous home, Maine Road. The Etihad, standing in the eastern area of Manchester, opened for business in 2002 as the Athletics Stadium for the 2002 Commonwealth Games. The venue is part of the Etihad Campus, which is also home to the City Football Academy.